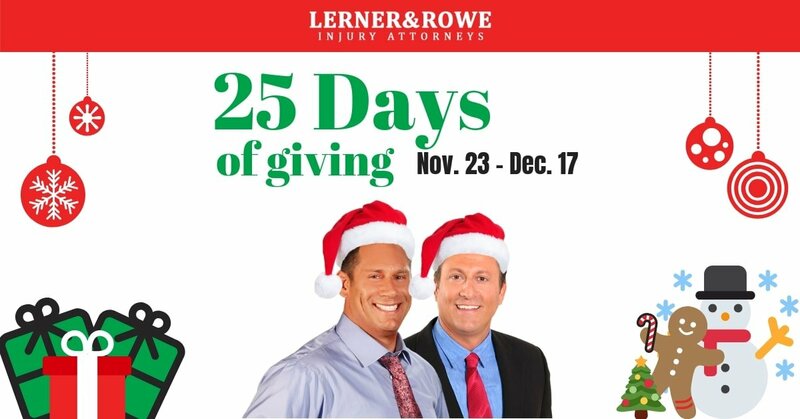 The season for cheer and giving is upon us and the law offices of Lerner and Rowe are getting into the spirit by hosting their annual 25 Days of Giving Contest. If images of iPads, iPhones, Xboxes or other gadgets are dancing through your head, we want to hear about it. 25 lucky winners will be announced one by one each day from November 23rd - December 17th. To be eligible to win, you must comment with your gift wish on Lerner and Rowe's Facebook page contest post and share that post publicly on your page! A team of elves will then check Santa’s naughty and nice list and announce 1 (ONE) winner daily with the exception of Two for Tuesdays. "Like" Lerner and Rowe's Facebook page. Must tell us your wish by leaving a comment on a Lerner and Rowe’s Facebook page contest post. Must be a legal resident of Arizona, New Mexico or Tennessee. Other than that, just keep in mind that Lerner and Rowe's 25 Days of Giving Program is not a solicitation for referrals or recommendations for its services. Lerner and Rowe is not seeking through this program any referral or recommendation of it services. Lerner and Rowe also advises you that by visiting Lerner and Rowe's Facebook Page, entering this giveaway, or posting any comment or question on any social media page affiliated with Lerner and Rowe you are not entering into a legal agreement of any kind with the law offices of Lerner and Rowe and Lerner and Rowe is not agreeing to represent you. Do not post any questions related to representation on Lerner and Rowe's Facebook page. Lerner and Rowe is responsible for the content of this Promotion and can be reached at 602-977-1900. NO PURCHASE NECESSARY TO ENTER OR WINParticipation constitutes entrant's full and unconditional agreement to and acceptance of these Official Rules. The Lerner and Rowe 25 Days of Giving sweepstakes submission period commences at 12:00 a.m. Pacific Standard Time(PST) on November 23, 2018, and ends at 11:59 p.m. PST on December 17, 2018. The program is sponsored by the law offices of Lerner and Rowe, 2701 East Camelback Road, #140, Phoenix, Arizona 85255. Eligibility: The Lerner and Rowe 25 Days of Giving sweepstakes (the "Promotion") is open only to legal residents of Arizona, New Mexico or Tennessee who are 18 years of age or older, or who have written consent from a parent or legal guardian. Entrants must also be a U.S. citizen who resides in Arizona, New Mexico or Tennessee at the time of entry. Employees, contractors, directors and officers of the law offices of Lerner and Rowe (“Sponsor/Administrator”) and its respective parents, subsidiaries and affiliated companies, distributors, licensees and the advertising, fulfillment, judging and promotion agencies involved in the development and administration of this Promotion (collectively, "Promotion Parties"), and their immediate family members (parent, child, sibling and spouse of each) and those living in the same households of each are not eligible. Void elsewhere and where prohibited by law. How to Enter: (all entrants acknowledge their information will not be used or sold for other marketing or promotional purposes.) During the Promotion Period, go to the Lerner and Rowe Facebook page at facebook.com/LernerAndRowe and post a comment listing a gift that you would like to receive not to exceed a $500 value. Entrants must like the Lerner and Rowe Facebook page, share their wish by commenting on the page and then share their wish with their family and friends on Facebook. Entrants under 18 years of age at the time of entry must have parent or guardian's approval to enter the contest. If it is discovered that approval was not granted, that entry will be disqualified or forfeited. LIMIT ONE (1) ONLINE ENTRY PER PERSON, PER DAY. For purposes of this Promotion, a day is defined as a 24-hour period beginning at 12:00 a.m. PST and ending at 11:59 p.m. PST. General Rules: Lerner and Rowe 25 Days of Giving sweepstakes. All federal, state and local laws apply. Winners will be notified through Facebook. Each potential winner may be required to sign and return an Affidavit of Eligibility and Release of Liability and a Publicity Release and an IRS W-9 form within ten (10) days of attempted delivery or prize will be forfeited.  The return of any prize/prize notification as undeliverable or failure to respond to notices or return any documents in a timely manner, as determined by the Administrator, may result in disqualification and an alternate winner may be chosen.  By participating, participants agree to release, discharge and hold harmless Promotion Parties from and against any and all liability or damages associated with this Promotion or acceptance, use or misuse of any prize received in this Promotion. Promotion Parties are not responsible for any typographical or other error in the printing of the offer or administration of the Promotion. Acceptance of prize constitutes permission for the Sponsor and their agencies to use winner’s names and likenesses for purposes of advertising and publicity without further compensation unless prohibited by law. By participating in this Promotion, participants agree to be bound by the Official Rules and decisions of Lerner and Rowe Management, which shall be final in all matters relating to the Promotion. Promotion Parties are not responsible for lost, late, misdirected, illegible, incomplete, non-delivered or postage-due mail; or for printing, distribution or production errors or for technical, hardware, software, or telephone malfunctions of any kind, lost or unavailable network connections, or failed, incorrect, incomplete, inaccurate, garbled or delayed electronic communications caused by the user or by any of the equipment or programming associated with or utilized in this Promotion, or by any human, or other error, which may occur in this Promotion. If, in the Administrator's sole opinion, there is any suspected or actual evidence of tampering with any portion of the Promotion, or if technical difficulties compromise the integrity of the Promotion, the Lerner and Rowe Management reserves the right to void suspect entries and/or modify and/or suspend and/or terminate the Promotion and/or conduct a random drawing to award the prizes in a manner deemed appropriate by the Administrator. 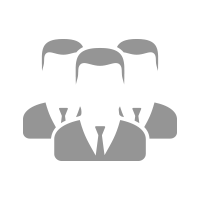 In the event of a dispute regarding the identity of the person submitting an entry, entries will be declared made by the name appearing on the online entry. Sponsor reserves the right to disqualify any individual who tampers with the Promotion or acts in a disruptive manner. This Promotion is offered only in the United States and is governed by the laws of the state of Arizona, New Mexico or Tennessee. Winner’s name will be posted on Lerner and Rowe’s Facebook page at facebook.com/LernerAndRowe. Sponsor: The law offices of Lerner and Rowe, 2701 East Camelback Road, #140, Phoenix, Arizona 85255. Facebook is not a sponsor of the Lerner and Rowe 25 Days of Giving sweepstakes and any entrants agree to release Facebook from all liability related to the contest. Lerner and Rowe Management reserves the right to modify, change, or cancel this promotion at any time, without notice. By entering this sweepstake, entrants acknowledge they should not communicate any legal questions on any Lerner and Rowe website and social media channel to include LernerAndRowe.com, LernerAndRoweLawGroup.com, LernerAndRoweGivesBack.com, Facebook, Twitter, Google+, or Instagram. Disputes: Each entrant agrees that: (i) any and all disputes, claims and causes of action arising out of or connected with the Lerner and Rowe 25 Days of Giving sweepstakes or any prizes awarded shall be resolved through the sole and exclusive jurisdiction of the courts of the state of Arizona, New Mexico or Tennessee; and (ii) any and all claims, judgments and awards shall be limited to actual out-of-pocket costs incurred, including costs associated with entering the Contest, or statutory damages, but in no event attorneys' fees. All issues and questions concerning the construction, validity, interpretation and enforceability of the Official Rules, or the rights and obligations of the entrant and Sponsor in connection with the Sweepstakes, shall be governed by, and construed in accordance with, the laws of the state of Arizona, New Mexico or Tennessee without giving effect to any choice of law or conflict of law rules (whether of the state of Arizona or any other jurisdiction), which would cause the application of the laws of any jurisdiction other than the state of Arizona, New Mexico or Tennessee.